iPads and tablets are becoming pervasive productivity tools. At MINIMAL, we are constantly creating in both the analog and digital worlds, transitioning between paper and pixels. For us, the Touchpen has become an indispensable accessory to our workflow. 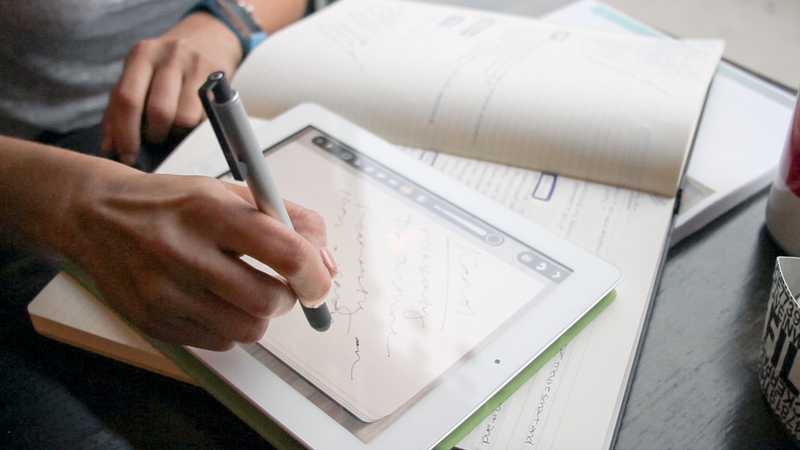 The LUNATIK Touch Pen seamlessly goes from paper to tablet with a click of a button. It writes. Both ways! Touch Pen is a simple and obvious solution inspired by the way we work between the analog and digital worlds every day. While both are great on their own, we would prefer to have our everyday pen be compatible with tablets and notebooks with a click of a button, eliminating the need to carry multiple items. This was the inspiration for the LUNATIK Touch Pen. The idea was born from a desire to integrate our pen of choice, the rollerball, with the digital stylus. LUNATIK Alloy Touch Pen is manufactured from premium materials and features an aircraft grade aluminum barrel, a die cast clip that is hard coated with PVD plating, a high grade silicone rubber grip as well as our patent-pending dual mode tip. Our custom engineered materials are designed to meet our demanding specifications for touch screen responsiveness and flow. On paper, Touch Pen uses precision gel rollerball components for a fluid inking experience. We also offer a Polymer Touch Pen in a range of colors that are more expressive and less expensive, in case you are always losing your pens like us. With either Alloy or Polymer Touch Pens, going from paper to pixels is as natural and simple as clicking your pen like you always have. Once you've transitioned to the digital side, you have endless ways to express yourself with the same pen through a wide range of note taking and creative apps. 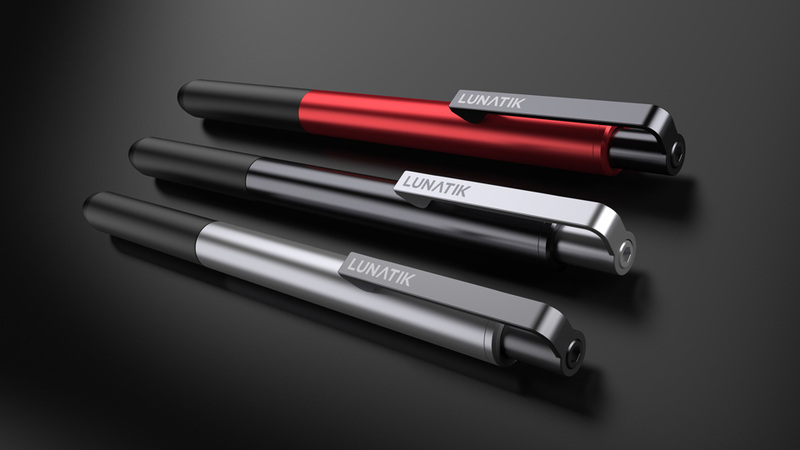 The LunaTik Touch Pen project on Kickstarter was a great success — 4,200 backers and more than $309,083 pledged.